2. Cut a few slits in the skin of the eggplant, then halve lengthwise. 3. Sprinkle eggplant flesh sparingly with salt and let it sit for a few minutes to sweat out its bitterness, then dab dry with a paper towel. Brush sparingly with olive oil. 4. Place the eggplant halves, flesh side down, on a lightly oiled baking sheet then drizzle with olive oil. Bake in the 425 degree F heated-oven for about 40 minutes or until the eggplant fully softens through. Remove from the oven and set aside to cool covered with a tea towel. 5. When the eggplant has cooled, scoop the flesh out and place in a large bowl. (discard the eggplant skins). 6. Add yogurt, tahini, garlic, lime juice, and spices. Now beat all ingredients together using a fork or whisk until fully incorporated. Taste and adjust salt, cayenne pepper and pepper to your liking. 7. Place the dip in a serving bowl. Just before serving, top with a sprinkle of sumac, olive oil, toasted pine nuts and parsley leaves. Enjoy with a side of warm pita bread. – You can make this recipe ahead of time, refrigerate in an airtight container (it is best served within 2 days, but will keep well in the fridge for up to 5 days). Before serving, bring the babaganoush to room temperature. – For fussy kids and husbands who gag at the sight of eggplant, place all ingredients in a food processor and process until smooth and creamy. Garnish with a sprinkle of sumac, olive oil, toasted pine nuts and parsley leaves. 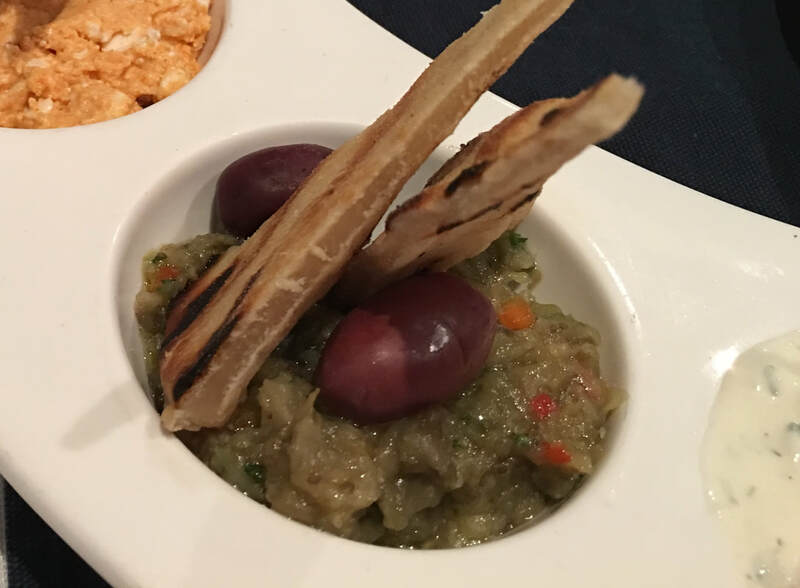 Trust me, they won't know this amazing dip is made with eggplant. -This recipe serves four, simply double the recipe for a larger party.